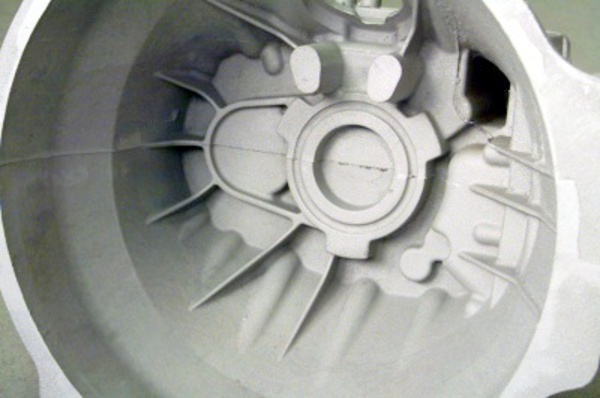 Casting simulation provide the ability to get it right at the first time. 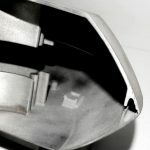 A patented sand casting process makes the part ready to use within weeks. 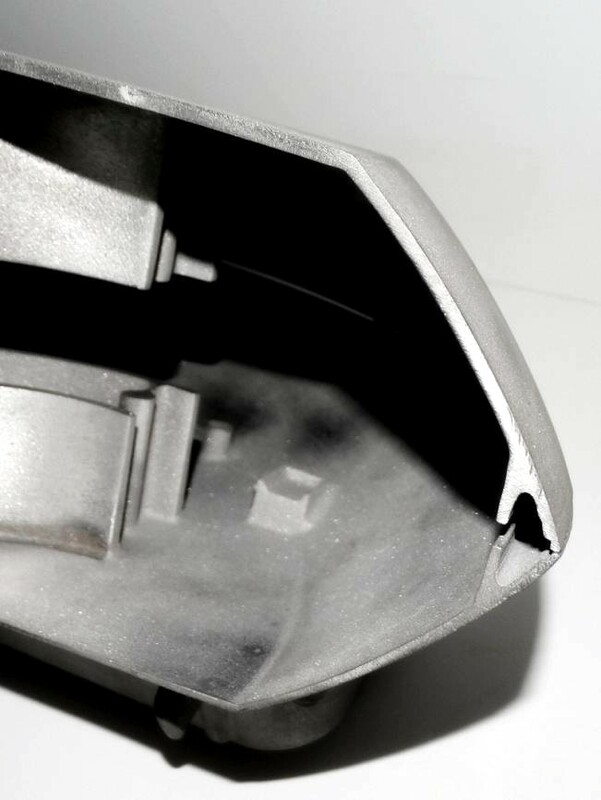 We offer consulting services in which mould filling and solidification simulations are combined with decades of experience in metallurgy and casting fault analysis. 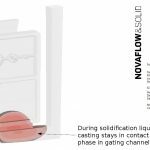 These provide you with the necessary information to get your casting right at the first time. 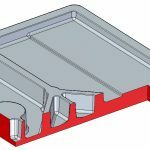 We have partnered up with an innovative light metal foundry and together we can turn your CAD design into small series (40 – 200 units) of sand castings in weeks. 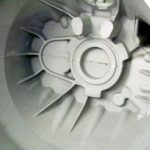 These castings are ideal for functional prototypes of high-pressure die casting parts. 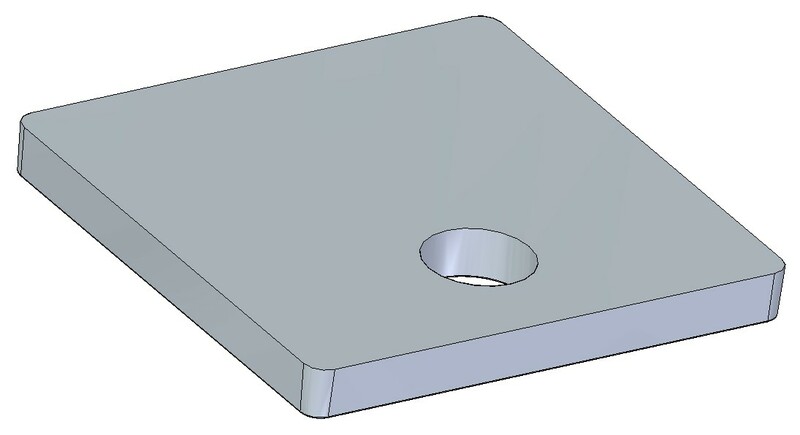 Starting from your 3D CAD model of the cast part we make the necessary geometry modifications in our own CAD system. 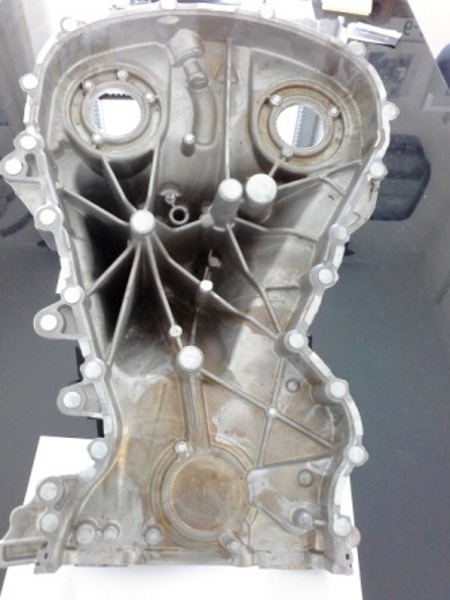 We prepare the part for gating design and casting process simulation. 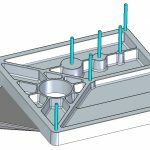 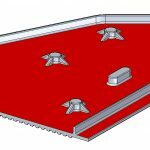 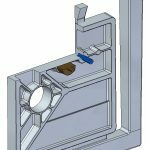 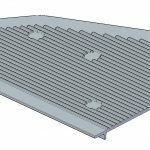 These modifications include repairing CAD geometry faults coming from CAD-to-CAD communication, adding machining allowances, filling holes and taking volume shrinkage into account. 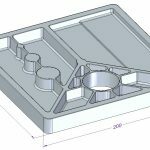 After the casting geometry is prepared we design all CAD elements the sand casting process needs. 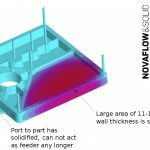 At the end of this procedure we build an assembly that includes CAD models of the casting and cores, gating, runners, filling ports, feeders, chills, vents and overflows. 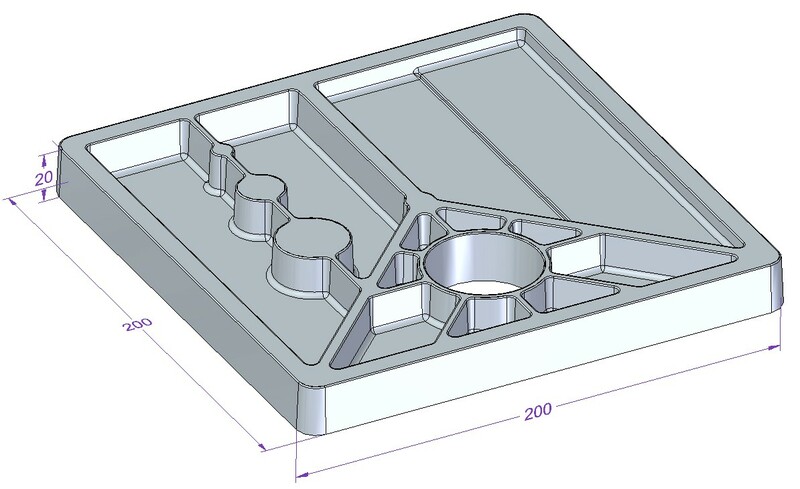 When we have this ready, we create the mould geometry. 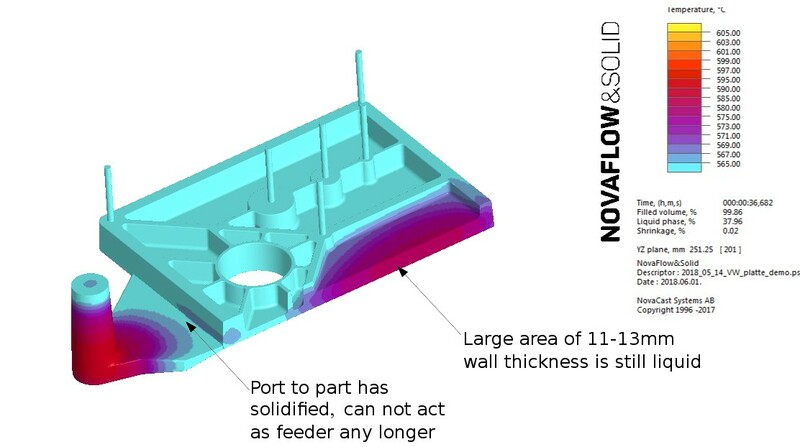 All these together form the casting assembly we use for mould filling and solidification simulations. 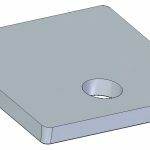 The first gallery below shows a test workpiece we simply call the “Testplate”. 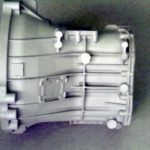 The gallery includes pictures of the different versions of the casting assembly as well. 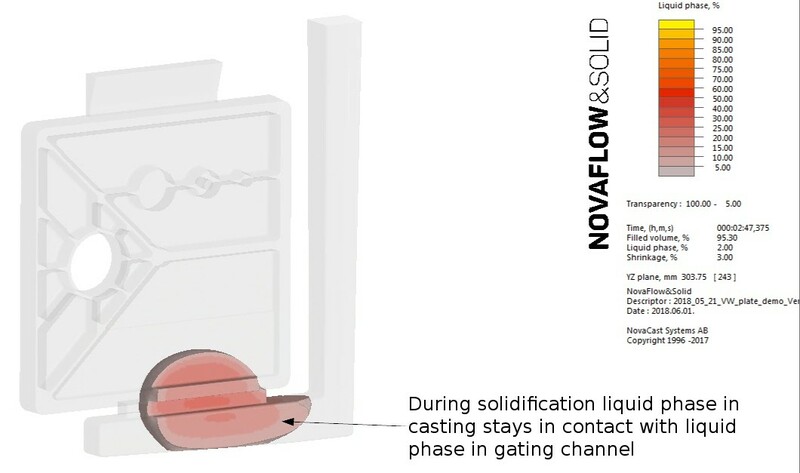 This cast part purposefully has some design issues to demonstrate casting faults in simulations. 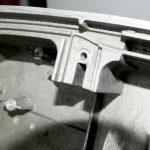 The second gallery shows the geometry of an other workpiece called “Cover” which is a perfect example of sand cast prototypes. 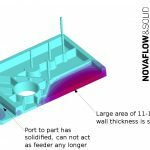 Based on mould filling and solidification simulations we can predict whether the molten metal would fill the mould entirely. 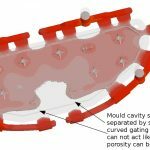 If mould cavity can be filled properly, simulation results show whether the casting has areas where defects could form. 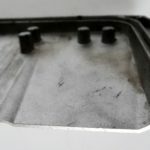 We can predict defects like extensive shrinkage, porosity and inclusions. 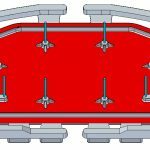 Since casting geometry can seldom be modified – because it has already passed a virtual crash test for example – if there are any defects predicted, we go back to gating system design stage and modify the casting assembly to eliminate all predicted faults. 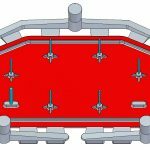 We keep working on the elements of the gating system, reposition or add feeders, chills and run new simulations until all challenges are handled. 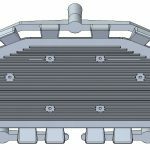 We do ask casting designers to provide Finite Element Analysis (FEA) results of the part showing highly stressed areas because we can create a casting assembly that makes sure the areas of high mechanical stresses will have the best possible mechanical properties. 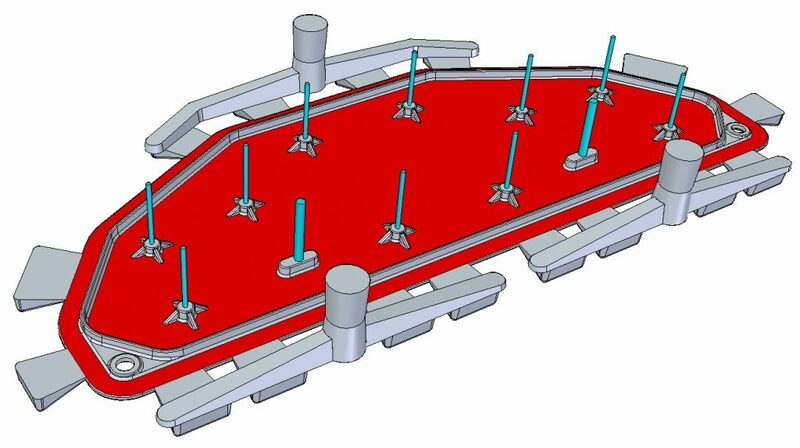 The gallery below shows a series of simulations run on the Testplate. 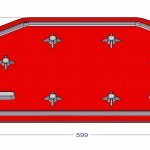 This part has issues like wall thickness ranging from 4mm to 13mm, solid Ø30mm and Ø20mm bosses on the 4mm thick flat surface, several junctions of ribs 4mm and 8mm thick. 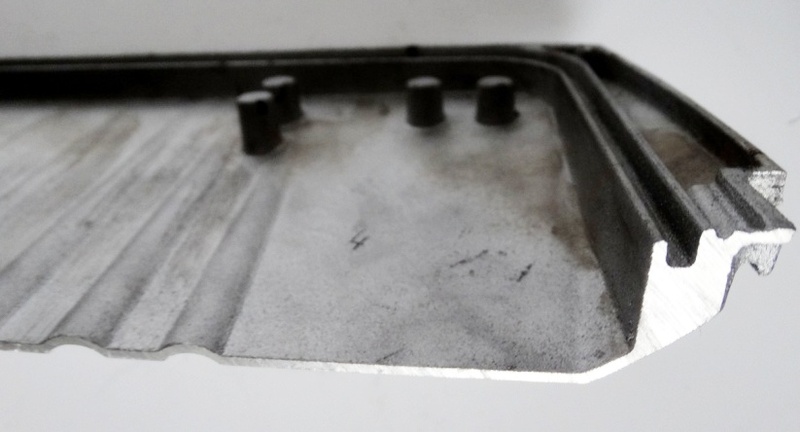 Such a part with built-in design problems cannot be cast without faults and the simulations we ran using a standard aluminium-silicon alloy (EN AC-42000) demonstrate the failures we can expect. 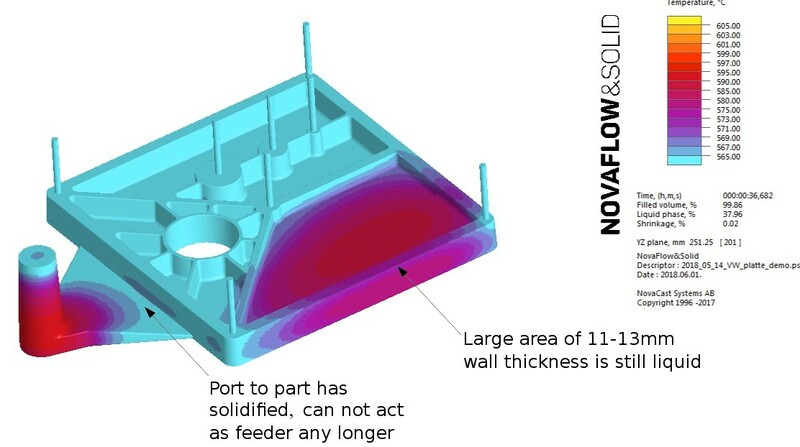 Large shrinkage is visible on casting surface at the 11mm and 13mm wall thickness areas and at bosses, also in corners where rib junctions form material aggregation. 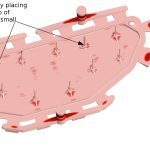 But this part is still good enough to demonstrate what casting simulation can do to improve the situation and reduce the effects of the design problems. 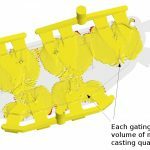 The options the casting technology designer has: change casting position from horizontal to vertical, change location of gating and ports, add feeders and chills. 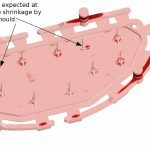 Their joint effects are clearly visible in the simulation results as shrinkage at bosses are smaller and shrinkage at the 11-13mm think area is not visible on the casting outside surface any more. 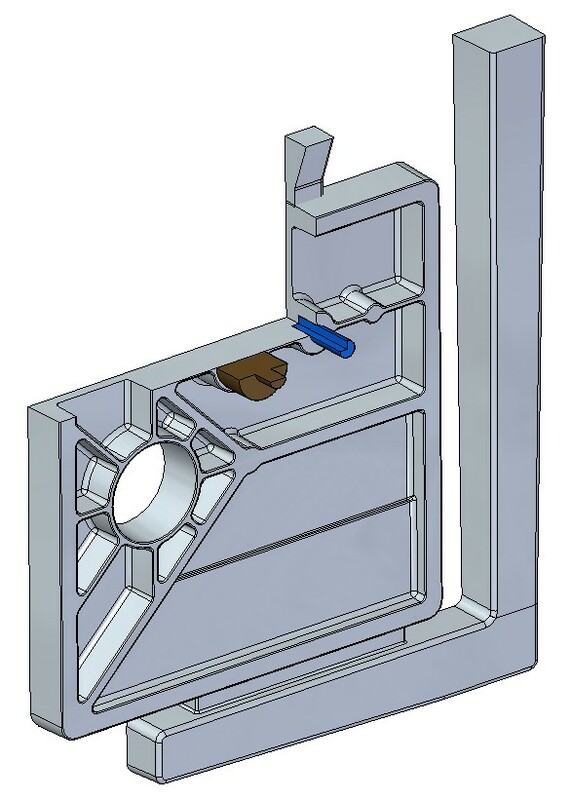 The part geometry below is a typical example of a sand cast prototype. 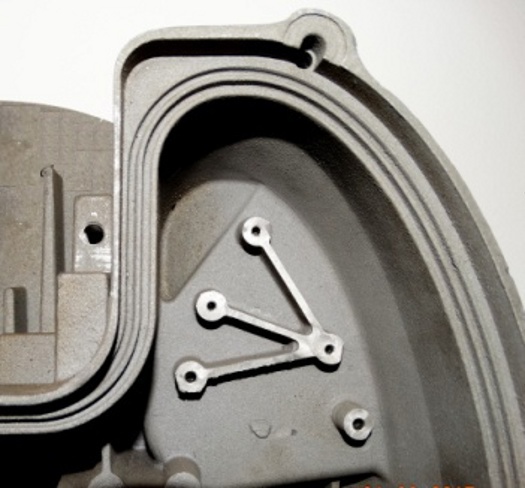 These castings are produced as functional prototypes of high-pressure die casting parts. 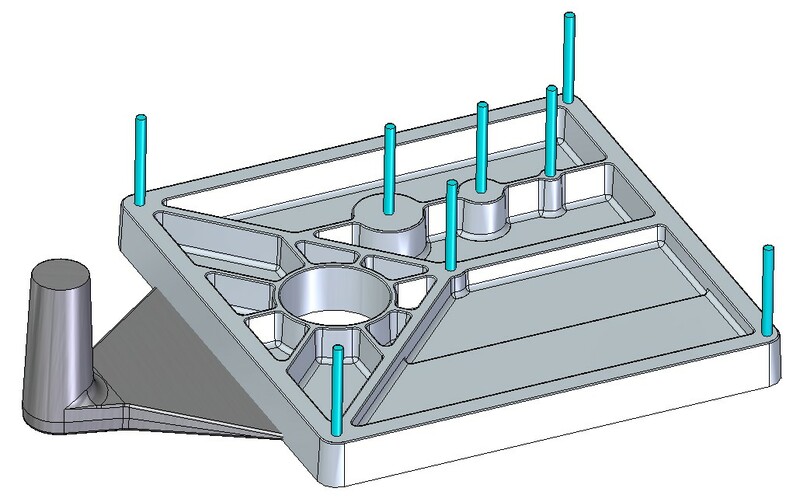 This test piece uses geometry features of a cover part of an LED street light, designed with uniform 3 mm wall thickness, with some bosses on the flat part and ribs on the opposite which is in contact with the environment. 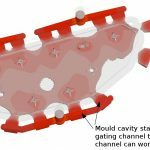 We simulated mould filling and solidification for an initial gating system using four gating channels and ports with slightly different sizes. 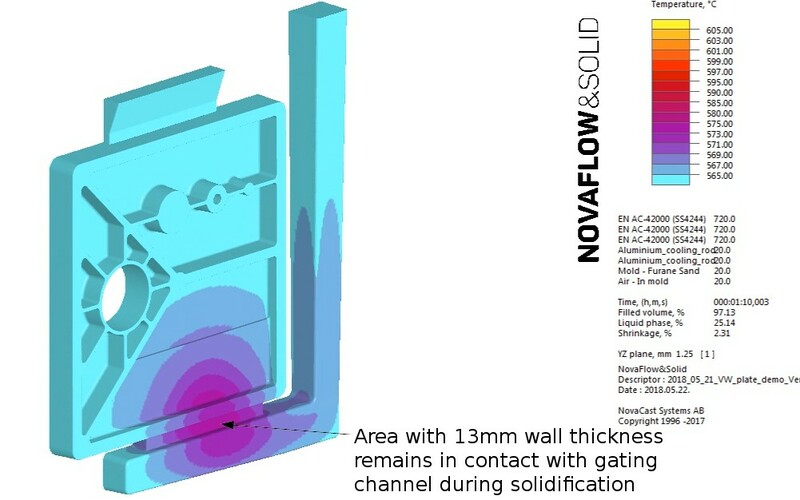 We found that curved gating channels of the initial design fill mould cavity unevenly and much slower than the two straight gating channels. 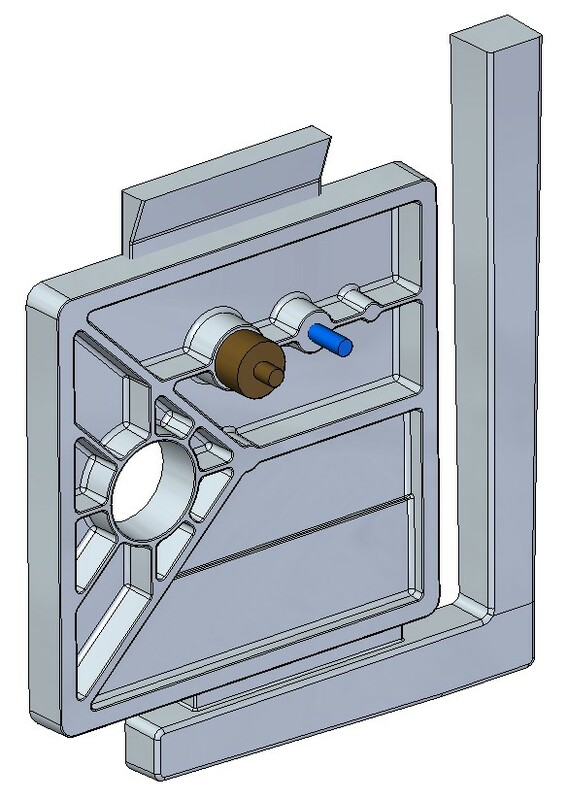 After a couple of gating system versions simulated, we ended up with a system that uses three gating channels which provide even flow distribution within the mould cavity. 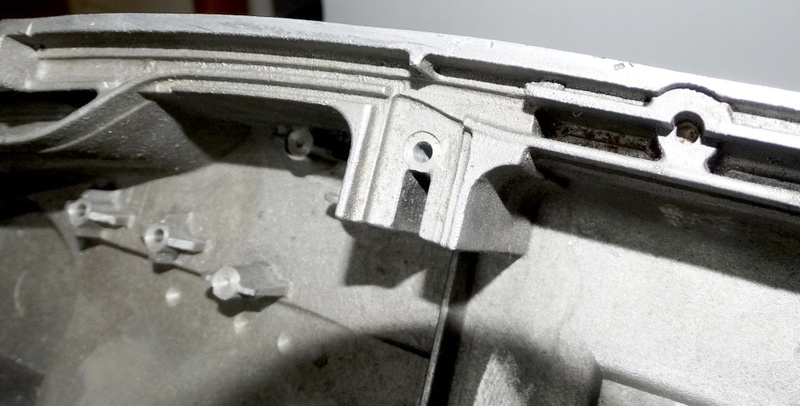 Compared to the initial design, a much better casting can be expected using an optimised gating system. 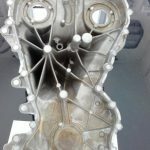 This is the part when results of theory and numerical simulations take real shape. 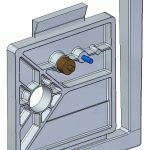 Our foundry partner has patented a sand casting process with which a thin wall (1 – 3 mm) casting design can be turned into a real-life workpiece within weeks. 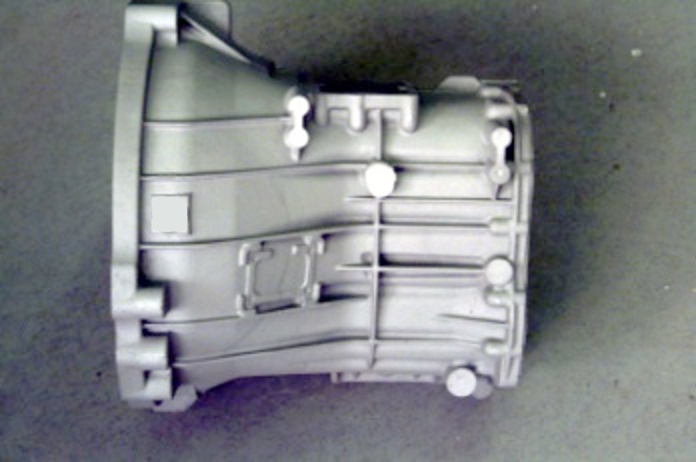 These castings are perfect functional prototypes of HPDC parts. Prototype castings can be heat treated to fulfill different mechanical property requirements. 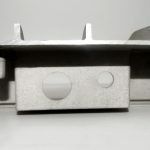 Applications include castings for prototype vehicles built for crash tests, special vehicle conversions, vehicles produced in small numbers, but also LED street light prototypes have been made using this technology. 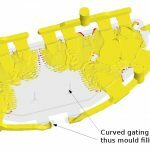 For all inquiries relating to mould filling simulations and prototype castings please contact us on office@cfdengineering.co.uk. 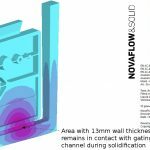 In the field of Computational Fluid Dynamics (CFD) simulations our specialty is to handle engineering challenges of manufacturing and production process development projects by using fluid dynamics simulation techniques and more than 20 years of mechanical engineering experience.